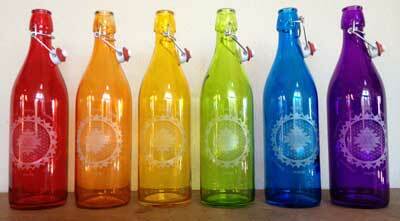 Cases of Elevated Glass contain 6 bottles of each color, red, orange, yellow, green, blue and purple. Bottles retail for $19 and up, price at your discretion. You can add quantities of cases on the checkout page.